If you have silver amalgam fillings, you may be wondering if you should have them replaced. While in the past silver fillings were your only options, today you can get tooth-colored fillings that leave you with a healthy, white smile. Following are some reasons you may want to consider opting for composite fillings. 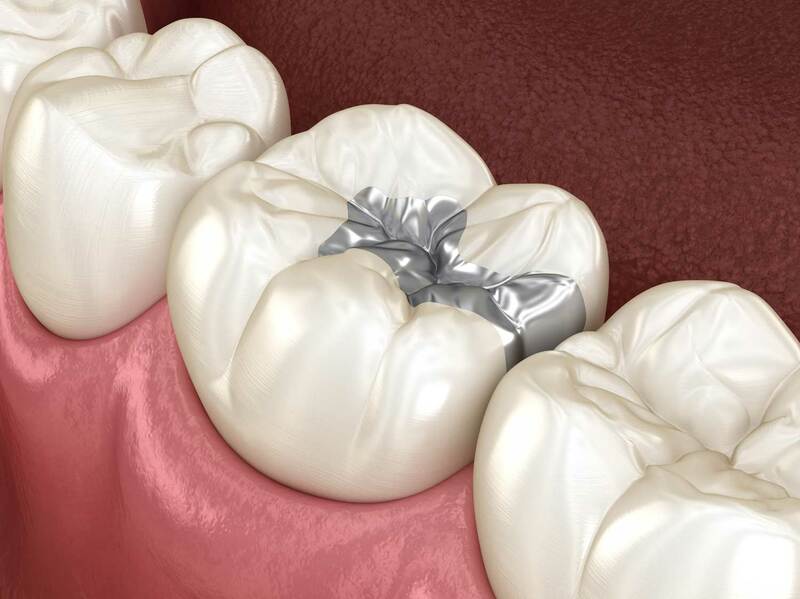 Unlike composite fillings which are bonded to teeth, silver fillings are packed into the cavity. Over time, these fillings begin to show wear and become loose, allowing bacteria to enter your teeth and cause decay. If left untreated, the decay and bacteria can make their way down to the root of your teeth, meaning you may need root canal therapy and a dental crown. Some patients may be concerned about the mercury in silver fillings. While the levels of mercury have not been shown to pose a health risk, peace of mind may be a consideration. If you have any concerns regarding the mercury in your silver fillings, check with your dentist at Avalon Dental Care for recommendations. Unlike composite fillings, silver fillings expand and contracts with heat and cold. These movements can cause your teeth to fracture or the fillings to loosen, resulting in gaps that bacteria can enter, wreaking havoc under your restoration. Amalgam fillings act like pot-hole fillings, with no attachment to the tooth, meaning they do not provide any additional strength to the tooth structure. When chewing pressure is applied, amalgam fillings can cause your teeth to chip or crack. Composite fillings, on the other hand, bond directly to your teeth, strengthening and protecting them. Amalgam fillings are noticeable and can interfere When you smile. Because composite fillings are tooth-colored, they blend in seamlessly with the surrounding teeth, allowing you to enjoy a beautiful, confident smile. If you feel ready to replace those silver fillings that show when you smile, or if you’d like to learn more about composite fillings, visit us at Avalon Dental Care. We look forward to answering all your questions and helping you choose the treatment options right for you. Call us and schedule your appointment today!